A steely focus on the key issues and driving home the arguments. Deborah Ruff leads Pillsbury's Arbitration - U.S. & International practice. She has extensive experience in multi-jurisdiction disputes, with a focus on high-value and complex international arbitration in the energy, infrastructure and construction, telecommunications and financial sectors. Deborah conducts international arbitration disputes often over JOAs, the construction of and off-take from refineries and petrochemical plants, as well as rig, energy trading and transport, and coal and nuclear power plant disputes. She also regularly represents clients in other infrastructure, shareholder and financial disputes. 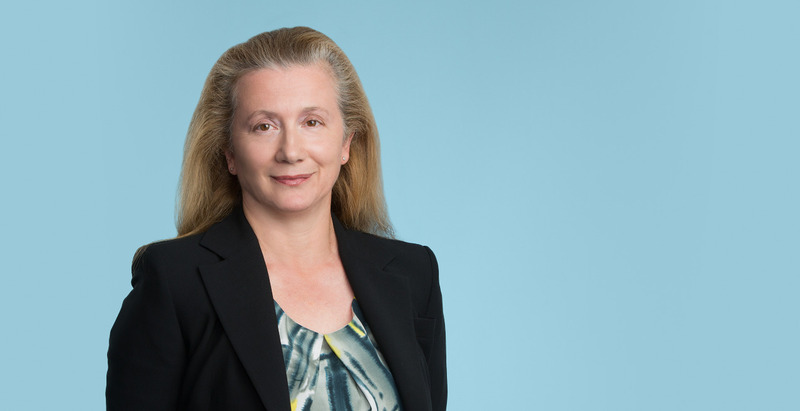 Deborah conducts arbitrations under the rules of all of the major institutions and rules including the LCIA, the ICC, DIAC, the Swiss, Stockholm, Hong Kong and UNCITRAL Rules. She has also represented both investors and states in BIT and ICSID cases. Advising two independent oil companies on disputes arising from a joint operating agreement. Issues included responsibility for cost consequences of a major rig “slump” and interpretation of a joint operating agreement and related documents. Representing a major telecommunications company in a series of worldwide disputes, including both arbitrations and litigation, arising from an IPO and subsequent $5 billion share swap transaction with another telecommunications entity. Successfully represented a high net worth individual in a complex shareholder dispute resolved through arbitration and related MENA region litigation, Claim and counterclaims were each in the region of $1 billion. Representing a major construction company in a contractual interpretation dispute regarding a large scale nuclear power plant where the amount at issue was about $800 million. Representing two major oil companies in a $2 billion arbitration with a North African government over the renegotiation of a long-term contract. Representing an energy company in a dispute over a contract for the hire of an offshore drill rig in North African waters. Representing a MENA region entity in an arbitration concerning the construction, output, performance and shutdowns of a petrochemical plant. Advising a Russian energy company in relation to its potential liability under a joint venture agreement with a MENA state oil company. Representing a construction company in a dispute over the dismantling, shipment and reconstruction on another site of a refinery. The amount at issue was several hundred million dollars. Advising an investor on a claim against a state entity arising from long term gas supply contracts. Advising a state oil company on a series of disputes arising from a production sharing agreement with several independent oil companies where the amount at issue was US$2 billion. Representing a CIS entity in a dispute over the hire of an offshore drill rig. Representing an Asian entity in a transfer pricing dispute over Caspian oil, involving US$2 billion of oil trades. Representing an oil trading entity in a series of claims arising from supply of oil under an off-take agreement with a refinery, also including demurrage and detention claims and counterclaims. Representing one party to a joint venture in a dispute over participation in a North African oil field. Representing an oil company in disputes arising from its exit from an Arctic exploration joint venture. Advising a state oil company on disputes arising under pipeline tariff agreements with its independent oil company partners. Advising a state oil company on disputes over its production sharing arrangements, particularly the over-lifting of profit oil, OPEX and CAPEX under its production sharing agreements with independent oil companies. Representing major European energy company in dispute over interpretation of contractual provisions and termination rights regarding a series of development agreements between it and its joint venture partners in a Russian oil field. Defending two state-related entities against claims by a joint venture partner in a major mining project. Representing a Russian entity in a series of disputes and restructuring/sales involving anthracite and other metals interests. The disputes involved arbitration and litigation in the BVI. Representing a client in proceedings in respect of Tunisian phosphate production and shipments. Advising a leading Middle Eastern contractor on a claim arising from its construction of a bunkering facility in the region. Advising a major U.S. contractor on a series of disputes between the owner and subcontractors relating to the upgrading of the metro system of a major European capital. Representing a major Japanese company in a series of disputes involving the destruction, rebuilding and insurance of a landing jetty and power plant in Latin America following a natural disaster. Defending a major U.S. construction and engineering company over the construction of an oil terminal in one of the Baltic countries. Advising a client in a dispute relating to the fit-out of a major Dubai shopping mall. Advising a major European television and entertainment company on a dispute over an earn-out provision in a large scale M&A transaction. Representing a European telecommunications provider in a dispute with a former state telecommunications company. Representing a state entity and a Scandinavian telecommunications company in a dispute with an Asian telecommunications services provider. Acting for a client in a nine party dispute over its rights to subordinated payments under a waterfall payment structure of a derivatives issue worth around $1 billion. Representing clients in a dispute over their rights to exercise a share sale option in relation to the takeover of a financial services company. Enforcement of a major arbitration award against a Middle Eastern sovereign state, including an innovative action in the U.S. and English courts to attach the proceeds of a forthcoming Eurobond issue. Representing a client in a major investigation by the Serious Fraud Office of an African nation, where the penalties sought were in the region of $800 million. Advising an international bank in a claim against Argentina arising from its bond defaults. Representing a client in a dispute over an “earn out” provision, following a transaction between two Asian entities. Advising on a dispute over a share sale and purchase transaction between two MENA region high net worth individuals. Representing a high net worth individual on a claim against a financial institution and a number of other parties in relation to multijurisdictional proceedings in New York and London. Court proceedings in various MENA region jurisdictions including the UAE and KSA and the CIS. Co-ordinating injunctive relief and other applications in multiple jurisdictions, including Cyprus, Jersey, the Bahamas, Paris and Switzerland. Co-ordinating global enforcement proceedings in relation to arbitration awards. Obtaining worldwide freezing orders and other injunctive relief, including orders for disclosure of assets and confiscation of passports in support of arbitration proceedings. Enforcement of and challenges to arbitration awards representing a Russian owned entity in litigation over a dispute over share ownership where the underlying asset was a $700 million stake in a Kazakh oilfield. Litigation of a dispute over a carried interest in a MENA region oilfield, involving several interlocutory hearings on freezing order applications and other interim relief. Representing a financial institution in a jurisdiction court battle arising from the financing of various shipping transactions. Representing a financial institution in a jurisdictional dispute where the alternative venue was the Italian courts. Representing clients in litigation relating to the failure of a shipping line, including allegations of misrepresentation, culminating in the second longest trial in the Commercial Court in that year. Contributed to a number of publications such as ADR Client Strategies in Europe and a book on Arbitration of M&A Transactions. She has also written a number of articles on arbitration related subjects. Frequent speaker, including at LCIA, ICCA and ICC conferences. Chaired opening session of first ICC conference in Houston and first woman invited to speak at Regent's Park mosque on arbitration in the Islamic World. Recognized in arbitration sections of directories such as The Legal 500 and Chambers. Named as one of only 12 experts in commercial arbitration in the Women in Business Law. High-profile attachments obtained by Moldovan creditors against billions of dollars in Kazakh state assets highlight the importance of choosing the right enforcement strategy. Some comfort and words of caution to business jet lenders (and lessors) using precedent/standard form documents.